Did Ezekiel make the dry bones come back to life? Of course not. 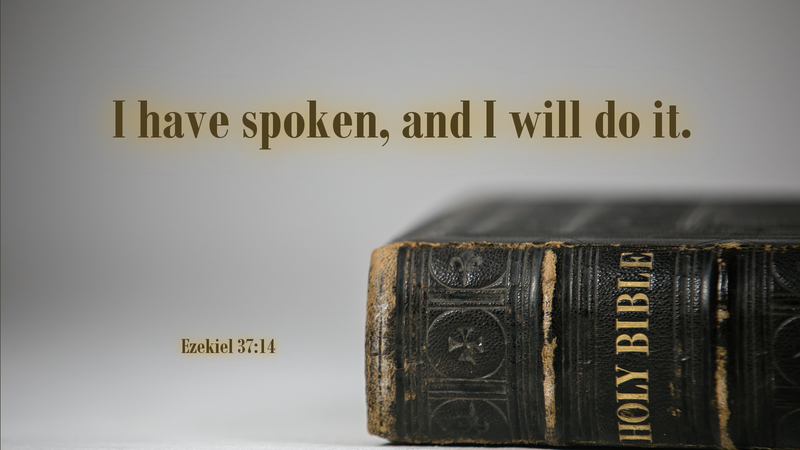 He spoke the word of the Lord as God commanded him to do. God did the rest. There is a lesson here for us. Our job is to proclaim; God does the work. The people stared in awe at Peter and John after the lame beggar was healed. The apostles declared, “Why do you wonder…as though by our own power or piety we have made him walk?” All Peter did was proclaim the mighty name of Jesus. This is the very kind of good fruit his disciples today should produce: proclaim Jesus, then depend upon the Spirit to bear witness to the Word. God has spoken; he will do it. Prayer: Help me bear good fruit for your kingdom, Lord. Amen. Original image *A. Steimle, “The Eight Wittenberg Sermons,” in Works of Martin Luther with Introductions and Notes, vol. II (Philadelphia: A. J. Holman Company, 1916), 399–400.